A new student movement has risen up to challenge gun violence and the political power of the NRA. 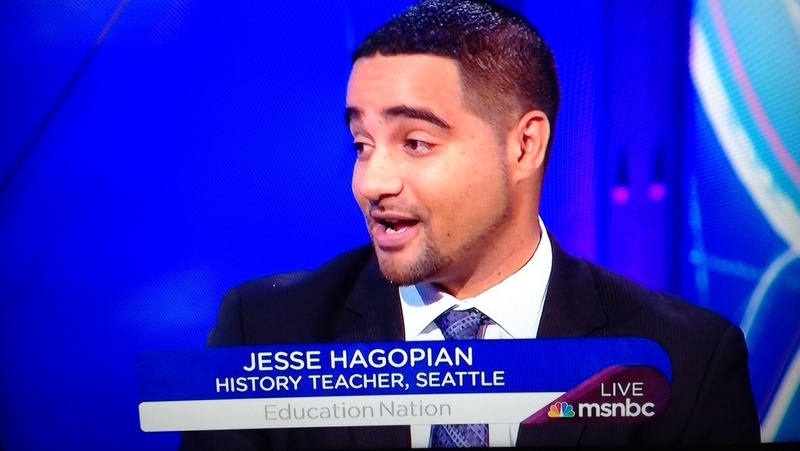 As the students prepare for school walkouts around the country, Jesse Hagopian, an Ethnic Studies teacher in Seattle and co-editor of the forthcoming book Teaching for Black Lives, and Jessie Muldoon a special education teacher in Portland, Maine, make the case for what teachers can do. Dear Congress, who will die next because of your lack of action? Who will you murder next? Because your lack of action is causing people to die. The next person who dies because of an AR-15 will be on you! ON WEDNESDAY, February 14, a gunman entered Marjory Stoneman Douglas High School in Broward County, Florida, killing 17 people. In the U.S. this year, there has been a mass shooting more than every other day and an average of one school shooting every 63 hours. While these mass shootings have become a regular feature of American society, the massive protests led by students calling for regulating guns are something new. With calls for mass walkouts from schools all around the country, the debate over gun regulation is no longer confined to policy briefs and is quickly growing into a national struggle of students, educators and families who are fighting for their lives and the right to be safe at school. According to the National Rifle Association’s own records, in the 2016 election cycle alone, it spent $54 million in presidential and congressional races. In the wake of the Parkland, Florida shooting, survivors and family members are challenging NRA-backed politicians, like U.S. Sen. Marco Rubio from Florida and President Donald Trump. Florida Gov. Rick Scott has an A+ ranking from the NRA due to his consistent opposition to gun control. This movement highlights what many have been saying for years: stricter gun control, which is supported by the majority of Americans, is blocked every step of the way by NRA-backed Republican politicians. This movement demands that politicians refuse NRA blood money. We stand with the Parkland students in this struggle in opposition to the unregulated sale of semi-automatic weapons for profit, and against the stranglehold of the NRA on our political system. When we say we oppose access to weapons like the AR-15, we truly mean everyone, including the police. Many students face the threat of gun violence most frequently in encounters with officers who view their communities as hostile territories to be occupied with military equipment and tactics. Police officers killed 1,129 people in 2017. That means that police killed more than twice the number of people killed by mass shooters–428 deaths. Those killed by police were disproportionately people of color. Of the 147 unarmed people killed by police, 48 were Black and 34 were Latino/a. In cities around the country, police forces have received weapons from the U.S. military. The Pentagon’s Excess Property Program has distributed more than $5.1 billion in military equipment to some 8,000 federal and state law enforcement agencies since it was established in 1997. Since 2006, according to an analysis by the New York Times, police departments have acquired 435 armored vehicles, 533 planes, 93,763 machine guns and 432 mine-resistant armored trucks. The world watched militarized police forces brutalize the Occupy Wall Street movement, target Black Lives Matter protests in Ferguson and Baltimore, and attack Indigenous water protectors at Standing Rock. MILITARIZING SCHOOLS won’t keep our students safe. There were armed guards at Columbine High School and Marjory Stoneman Douglas High School, and they didn’t stop the shooters. Worse, armed guards and police in schools have led to a dramatic increase in students arrested for small infractions. Predominantly Black and Brown children are being arrested and brutalized for scribbling on a desk, having a cell phone in class or violating the school dress code. These commonplace behaviors are far better handled by a counselor than an armed officer. However, new studies show that school security officers outnumber counselors in three out of the biggest school districts in the country, including New York City, Chicago and Miami-Dade County. This is also true of Houston, the seventh-largest school district. Trump wants to turn teachers into the security officers, claiming, “If you had a teacher who was adept at firearms, that could very well end the attack very quickly.” Yet this completely asinine suggestion would only further many students alienation from education and contribute to the school-to-prison-pipeline. And it will undoubtedly end in tragic accidental shootings. School workers and students deserve school safety. But school safety will not come from the barrel of a gun. It comes from teachers having the resources they need and students having their needs met at schools. Families depend on schools for education, but also for meals, mental health and medical services, dental services, after-school programs, drug counseling, grief counseling, college guidance and much more. These services are the real sources of school safety. In a tragic irony, Nikolas Cruz, the Parkland shooter, was trained to shoot at school in an ROTC program, supported by an NRA grant. In contrast, the #ArmMeWith movement is raising the demand to arm teachers with the books, computers, desks and the teaching supplies we need, not guns. Teachers do not need to be armed with guns to protect their classes, they need to be armed with a solid education in order to teach their classes…If you want to help arm the schools, arm them with school supplies, books, therapists, things they actually need and can make use of. We support calls to protest these shootings and to demand real school safety. We want our voices be heard louder than gun lobby money. We encourage students, educators, parents and community members to participate in rallies or walkouts in their cities and towns. We encourage teachers’ unions to take a stand in solidarity with this movement. We oppose discipline or charges being brought against any students, educators or school employees for participating in this movement. We recognize that violence is endemic to our society–it destroys families and cuts down our young people, be it a mass shooting, or police brutality. We supported the students and young people standing up against the violence of the police in Ferguson, Missouri, and Baltimore, Maryland, just as we support the students of Parkland, Florida, in their struggle to say #NeverAgain. In our small middle-class suburb it is always amazing to watch not one massive Police SUV tear down the street these days, but five, six or seven massive Police SUVs tear down the street, lights flashing. The militarization of the police system leads not only to a confusing overreaction to small problems, but the intentional creation of DRAMA around small problems.